The Christmas and New Year's holidays are just around the corner. Now is the time to finish planning your holiday dinner menu's and holiday parties. 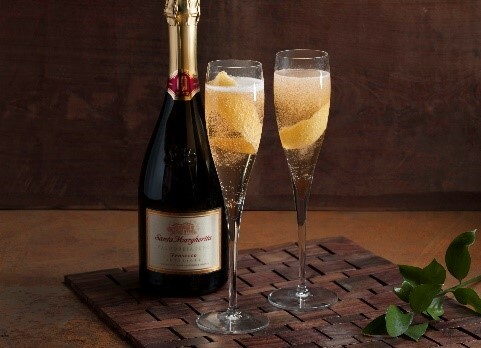 To help you along, we're featuring two delicious & festive holiday wine cocktail recipes with all of you. Rinse lemon and orange and thinly slice them, discarding seeds; quarter the orange slices. Put fruit in a 4- to 5-quart pan. 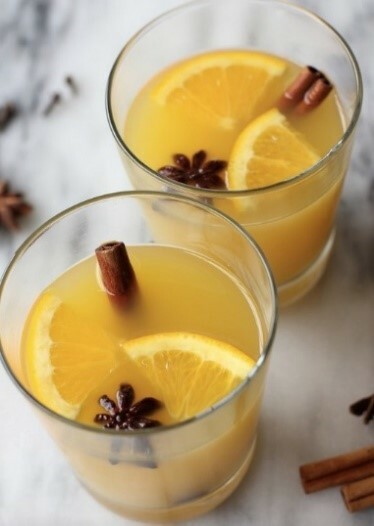 Add honey, sugar (use the smaller amount if you prefer drinks on the tart side, the larger if you want a sweeter flavor), cloves and allspice. With a knife, cut the cinnamon sticks lengthwise into thinner strips. Add cinnamon and 2 cups water to pan; bring to a boil over high heat, then reduce heat and boil gently for 5 minutes. Pour Prosecco into hot citrus base and heat until steaming, about 8 minutes. Keep warm over low heat. Ladle into heatproof cups or wineglasses. I have never tried elderflower liqueur, but I love most wine cocktails. I know that the Orange Cinnamon Blossom Cocktail Recipe will be one I shall enjoy.